According to two leading scientists, the human brain is in fact a ‘biological computer’ and the consciousness of humans is a program run by the quantum computer located inside the brain that even continues to exist after we die. The debate about the existence of the soul and whether it is immortal or dies with the person is an endless story that for centuries has occupied the time of the great thinkers of universal history. Its mysterious nature continues to fascinate different areas of science, but now a group of researchers has discovered a new truth about it: the “soul” does not die; it returns to the universe. Since 1996, Dr. Stuart Hameroff, an American Physicist and Emeritus in the Department of Anesthesiology and Psychology, and Sir Roger Penrose, a mathematical physicist at Oxford University, have worked in a Quantum Theory of Consciousness in which they state that the soul is maintained in micro-tubules of the brain cells. Their provocative theory states that the human soul is be contained by the brain cells in structures inside them called micro-tubules. The two researchers believe the human brain is in fact a biological computer and the consciousness of humans is a program run by the quantum computer located inside the brain that even continues to exist after we die. Furthermore, both scientists argue that what humans perceive as ‘consciousness’ is in fact the result of quantum gravity effects located within the so-called micro-tubules. This process is named by the two scientists “Orchestrated Objective Reduction – (Orch-OR)“. The theory indicates that when people enter a phase known as ‘clinical death,’ the microtubules located in the brain lose their quantum state but maintain the information contained within them. 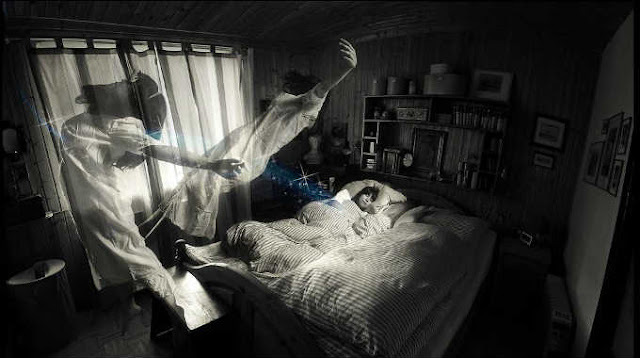 In other words – as experts explain it after people die, their soul returns to the universe, and it does not die’. According to this theory, the human souls are more than just ‘interactions’ of neurons in our brain and could have been present since the beginning of time. This post was republished from peacequarters.com. You can find the original post here.